The short yet powerful words “me too” show us how sexual harassment may be more common than people believe. Despite the prevalence of sexual assaults now being discussed, the previous lack of conversation around it may be attributed to the stigma associated with the topic. 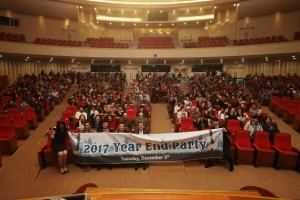 KAIST international community gathered in celebration of the year-end on December 5 at the KAIST Auditorium (E15). This year, the community made the year-end party very special, expressing their appreciation in a touching way at the event hosted by the International Scholar and Student Services (ISSS). Nearly 650 international faculty, students, and their family members joined the party. 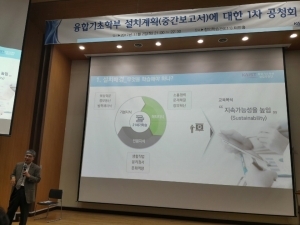 On October 27, the CEO of Kakao Ji-Hoon Rim gave a seminar on the topic of innovation and the effect of Kakao’s culture on its success at the Creative Learning Building (E11). 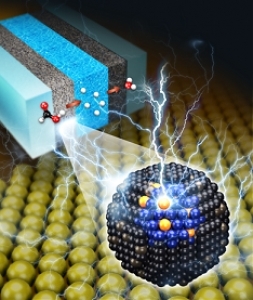 A collaborative research team led by Department of Physics Professor Kab- Jin Kim and Professor Kyung-Jin Lee of Korea University has developed a new technology that will significantly increase the capabilities of next-generation magnetic memory. The results of their research were published in the September 25 edition of Nature Materials, the world’s most cited scientific journal. 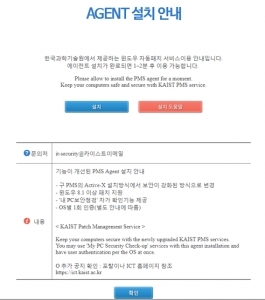 hangho Jo, a third-year undergraduate student, has undertaken the task of reinstating the short-lived https://sol.kaist.ac.kr/ website. The now nonfunctional service was established around 2010 with the intention of serving as a space in which students could anonymously share course-related documents, such as past exams, quizzes, and assignments. The surge of interest in flexible and wearable electronics over the past few years has increased the amount of time and money dedicated to developing their components. Although flexible screens and transistors have seen significant development, flash memory has not been able to replicate this progress. ·[News] Vision 2031: 20/20 for the Future? Amidst the confusion of several key imminent issues (see page 1 and 3 of this volume for more), President Shin announced the ongoing four-month work of the Vision 2031 Committee (VC) for the first time on November 9 at the Creative Learning Building (E11). On October 20, KAIST President Sung-Chul Shin attended the annual Science, ICT, Broadcasting, and Communications Committee (SIBCC) Inspection of the Administration, or also known as the National Assembly audit. Professor Hyunjoo Lee from the Department of Chemical and Biomolecular Engineering has found a way to reduce the amount of platinum used as catalysts in oxygen reduction reactions. Professor Lee conducted the research along with a team led by Professor Jungwoo Han from the University of Seoul. A team of researchers led by Professor Sung-Joon Lee from Korea University’s Department of Food Bioscience and Technology has uncovered a new obesity prevention mechanism by olfactory receptors in the body. ·[News] How Much Does a Cell Weigh? Researchers at ETH Zurich University have come up with a scale for weighing individual cells. Professor Oriol Romero-Isart and his team of researchers at the Institute for Theoretical Physics at University of Innsbruck, in conjunction with other institutions, have demonstrated the feasibility of a stable formation of levitating nanomagnets previously thought to be impossible. Undergraduate Student Council (USC), PUUM, and the Transdisciplinary Fundamental Studies Deliberation Committee (Deliberation Committee) cohosted a public hearing to discuss what has been a highly controversial proposal to establish a new department/major: the Department of Transdisciplinary Science and Engineering (TSE). ·[News] Will the Seeds Take Root? As the last in the triumvirate of reforms since the president’s inauguration, housing reforms followed the same principle; on three separate dates, President Moon carved out significant housing reforms that hoped to stabilize the fluctuating market and crack down on the abuse of real estate as a means for speculation. ·[News] Moon Care: Is It Heading in the Right Direction? On August 9, President Moon announced the government’s new healthcare plan to expand healthcare and reduce the burden of medical expenses. The new policy has invited both acclamation and controversy, which are inevitable as the so-called “Moon Jae-in Care” would transform many aspects of the healthcare industry. Education reform has been one of President Moon’s key promises as a presidential candidate, and he has selected long-time education reform advocate Sang-kon Kim as his Deputy Prime Minister and Minister of Education. However, in its current form, the Ministry of Education (MOE) is yet to be complete, as there are several key positions that are still vacant.